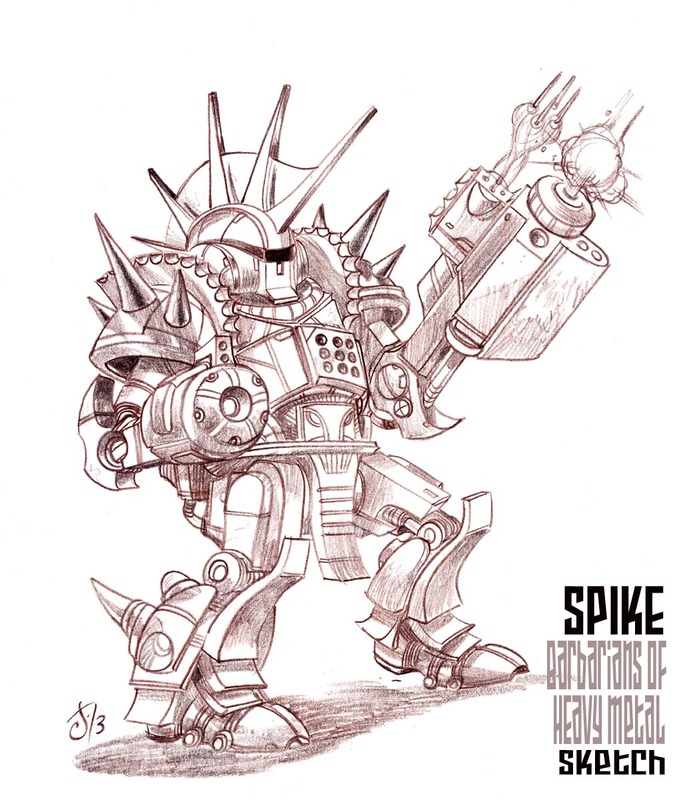 We have a few days left until the Kickstarter ends, and to help us in our final push, Jeff has been cool enough to provide us with one more extremely metal image: introducing the SPK-3L Spike! This entry was posted in News and tagged BoHM, Gameslate, Jeff Laubenstein, Kickstarter, Mobile Dev, Titans on August 4, 2013 by jabber. Looks great, hope I can play it soon!